At a ceremony at the White House Friday, I had the pleasure to join President Obama as he honored recipients of the National Medal of Technology and Innovation—the highest honor bestowed by the United States government on our nation’s brightest innovators and inventors. Whether unraveling the information intertwined in a DNA helix, improving the safety of air travel, or digitizing the way we capture memories of loved ones—the medal recipients have offered humanity new tools to tackle some of the toughest challenges we confront as a planet. Moreover, by improving our understanding of the world around us, they have rewritten textbook fundamentals—and inspired a new generation of thinkers to explore unfamiliar terrain. 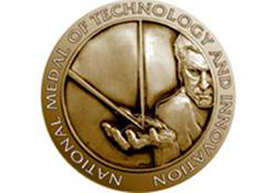 Much like the thousands of patent and trademark applications, the Commerce Department's United States Patent and Trademark Office (USPTO) carefully examines each and every day, the National Medal of Technology & Innovation serves as a reminder that our nation continues to be built by those willing to challenge traditions—willing to push the boundaries of convention and willing to test new limits in design and thought. UPDATED: Below is the archived video of the event. 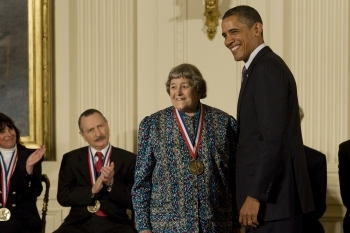 President Barack Obama will honor the 2009 recipients of the National Medal of Science and the National Medal of Technology and Innovation in an awards ceremony in the White House’s East Room today at 5:30p.m. EST. The ceremony will be carried live by webcast on the White House website at: http://www.whitehouse.gov/live. You can also follow live-updates on USPTO’s new Twitter account – @USPTO. Secretary Locke today joined President Barack Obama in announcing and congratulating the 2009 winners of the National Medal of Technology and Innovation. 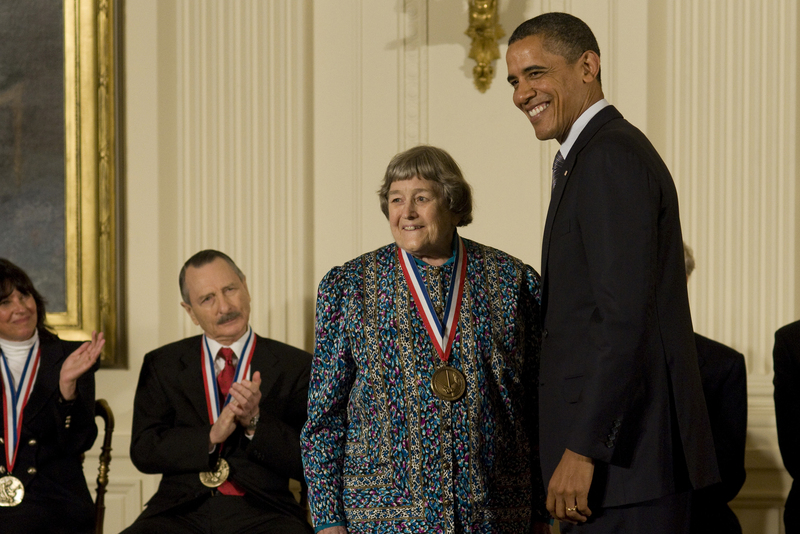 The medal is the nation’s highest honor for technological and scientific achievement and was awarded to three individuals and one team, who will receive their awards later this year at the White House. The National Medal of Technology and Innovation was created by Congress in 1980 and has been presented by the President of the United States since 1985. A distinguished, independent committee appointed by the Secretary of Commerce evaluates the merits of all candidates nominated through an open, competitive process. Committee recommendations are forwarded to the Secretary, who makes recommendations to the President for a final decision.